This week, we're showcasing​ five female artists who create in different mediums and showcase a variety of muses in their portfolio. 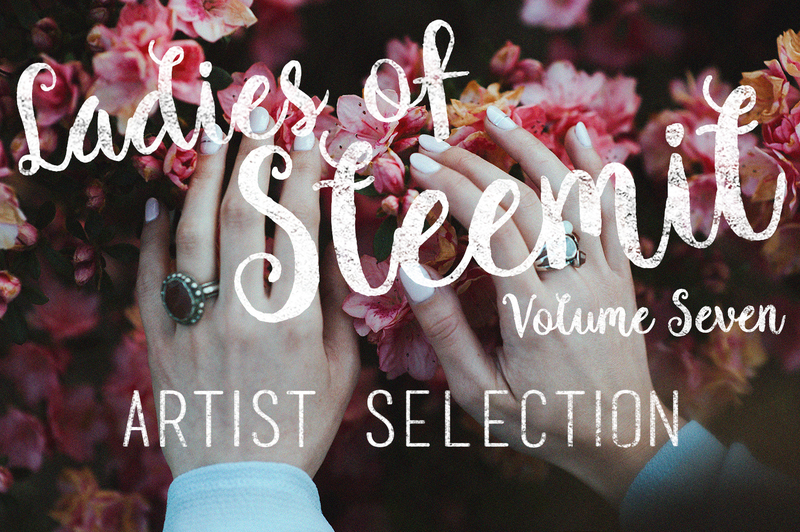 From pen and ink to questioning what "qualifies" as art, each of these women are making a mark on the Steemit visual creatives community. Each Wednesday, we're curating posts by the Ladies of Steemit, established/whales and new/minnows (and everyone in-between), bringing you the most talented female/femme/feminine voices on the platform. Subject matter is entirely based on the writers featured and no subject is off-limits! 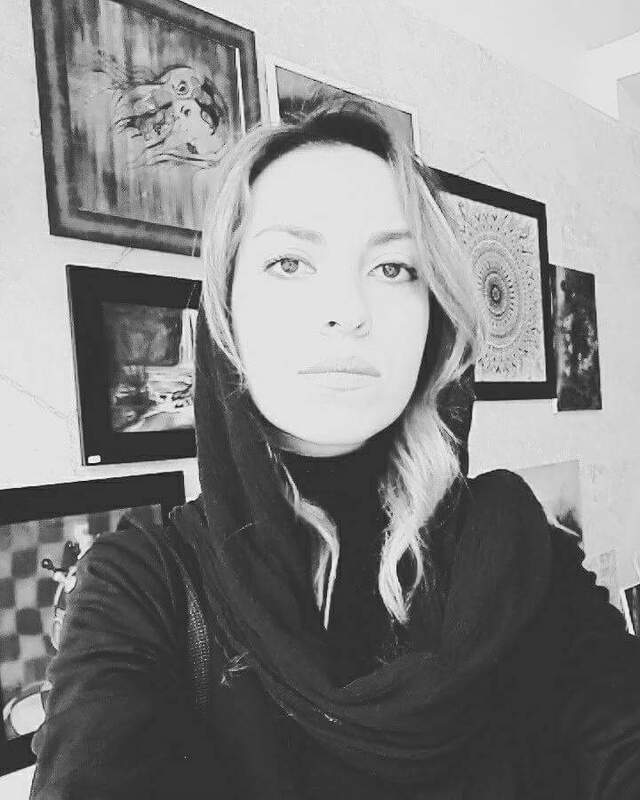 is a champion for all art, and her published articles on Steemit are a mere fragment of her contribution. She curates an art digest, hosts art mix-up contests, and has begun sharing art grants that could help Steemians continue to nurture their craft IRL. Learn more about Lily in her intro post. 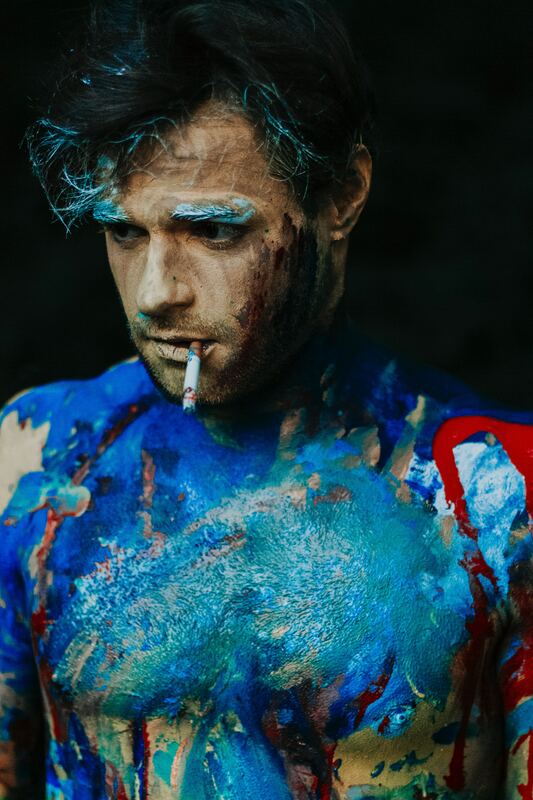 What is Art and Who Defines It? Since people first started making it, the debate has raged: what exactly is art and how do we define it? I interact with art every day: I’m either making it, writing about it, or viewing it. And, because of the communities in which I work, I regularly see powerful expressions of creativity far beyond the walls of a traditional gallery or theatre space. is an unabashed individualist with a strong sense of personal style and a tenured career as a professional artist. 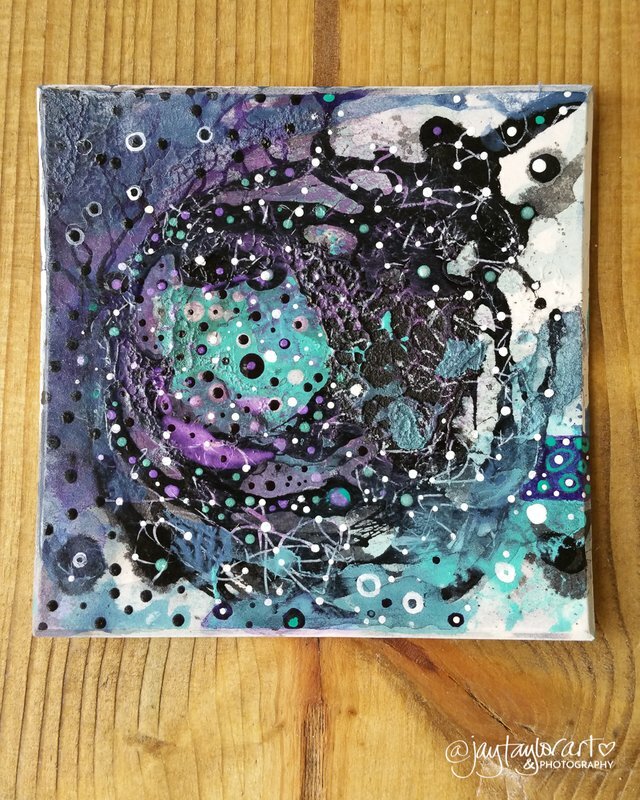 She stands for fearless personal expression and works in a variety of mediums AND sizes! Learn more about Jay in her intro post. is a devoted portraitist who works wonders with watercolor and markers. 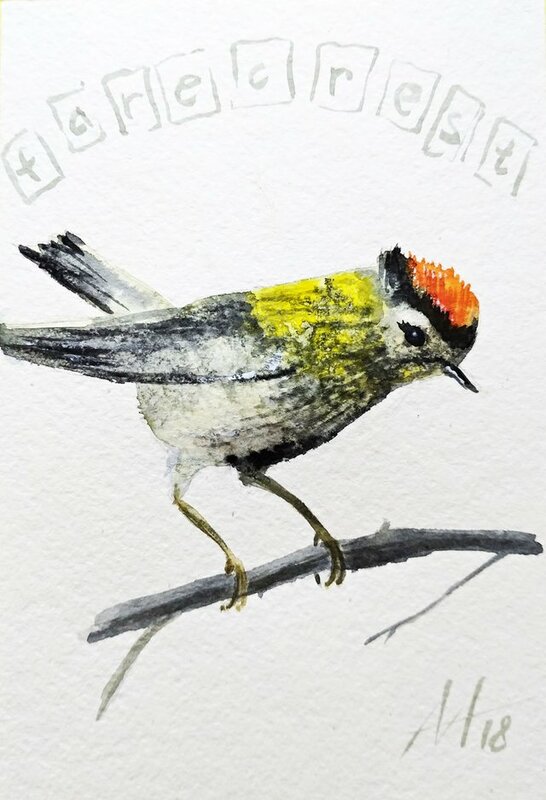 Her portfolio contains a diverse collection of Steemian Portraits (hello @ned) and is currently working on a collection of birds. Learn more about @amalinavia in her intro post. Farecrest. Which bird will be next? I use the watercolor "Nevskaya Palitra": ultramarine, titian, cadmium yellow medium, neutral black, scarlet, white zinc. Paper Palazzo 280g / m2, 70% cotton. I paint the silhouette of a bird and draw the main parts: head, beak, wing, tail, paws. Now I can go to watercolor. 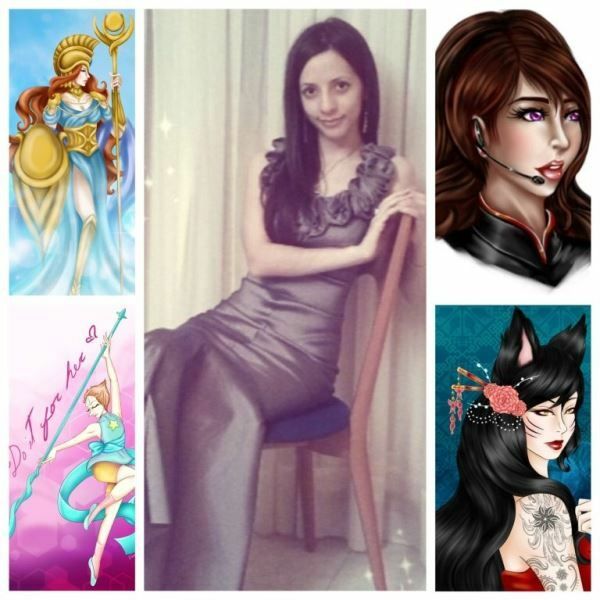 has a creative imagination which she channels into unique graphic designs and avatar portraits! She's quite new to Steemit and publishes both in Spansh and English, so be sure to check out her latest work! Learn more about Vanessa in her intro post. If there is a creature that will always fascinate with is graceful pace, agility, stealth and enigmatic glare, is the Cat. Loved by many, not so appreciated by others, they will always be part of human history as symbol of Elegance, Greatness, Power and even, as happened at Ancient Egypt: Divinity. 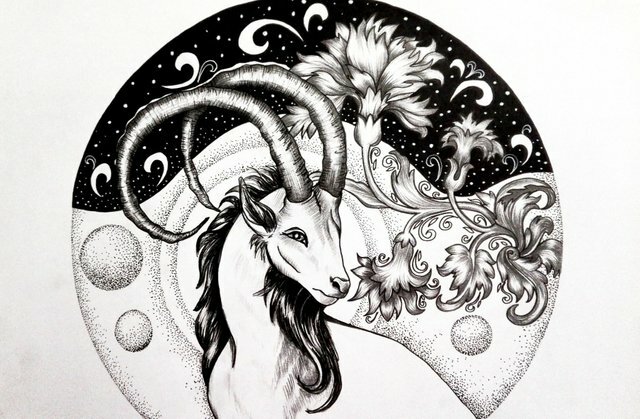 creates stunning illustrations with pen and ink, working with people, animals, and mystical themology. In her intro, she says, "I think dream worlds are real." and her artwork illustrates that perfectly. Learn more about Adele in her intro post. Thank you for joining us in celebrating the Ladies of Steemit! The #LadiesofSteemit curation initiative aims to curate the best female content on the platform and that can come from accounts of any size, age, subject-matter, and engagement level. To females/femmes/feminine voices making an investment in Steemit and its community growth, we salute you. Our numbers are growing exponentially and we're on a mission to highlight the unique voices emerging every day. Do you have a Lady of Steemit you think deserves a mention? Nominate your gals for the Ladies of Steemit curation! Upvote this post and drop a link to an exemplary post by a feminine voice in the comments below. We are delighted to review and consider each entry. We primarily follow EVERY. SINGLE. LADY. we come across on Steemit and resteem as many quality posts as we can each week. Use the tag #LadiesofSteemit on your posts you'd like considered for a feature or that you feel would benefit the female community of Steemit. You can also find more Ladies of Steemit hanging out in #SteemSugars and #TeamGirlPowa ! Disclaimer: There are no gender police here. If you in any way identify with some semblance of your own meaning of femininity, you're qualified! We by no means intend to exclude, alienate, or discourage the participation of men, but are committed to the Ladies of Steemit as our sole focus at this time! Should you feel a person was featured in error, say we have misjudged a man/guy/masculine-identifying individual OR spammer pretending to be a woman, please use your best judgment and alert us politely in the comments or on Discord: @ameliabartlett / @ladiesofsteemit. We will be discreet and delicate in our handling of misprints! And, many thanks to @carlgnash for your continued mentorship, support, and recent Steem donation! 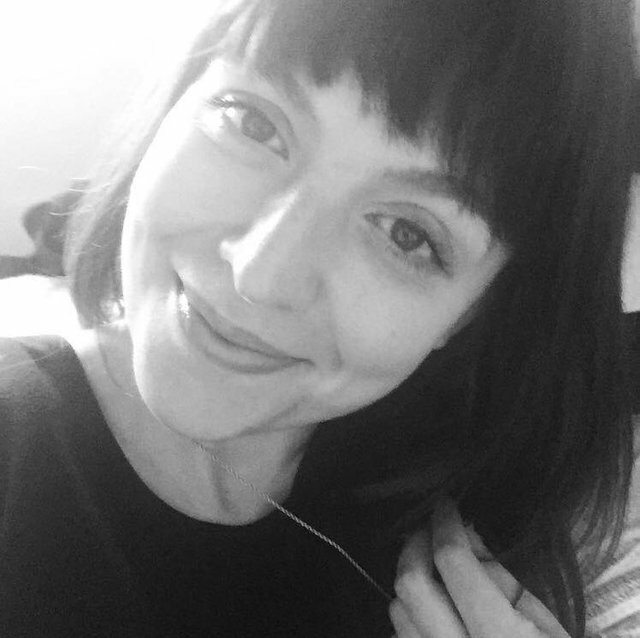 consider a micro-delegation of 10 SP or more and check out our curation trail which supports a vast range of female voices on the blockchain! Ladies of Steemit, Volume 6 | Can I Get a Witness? 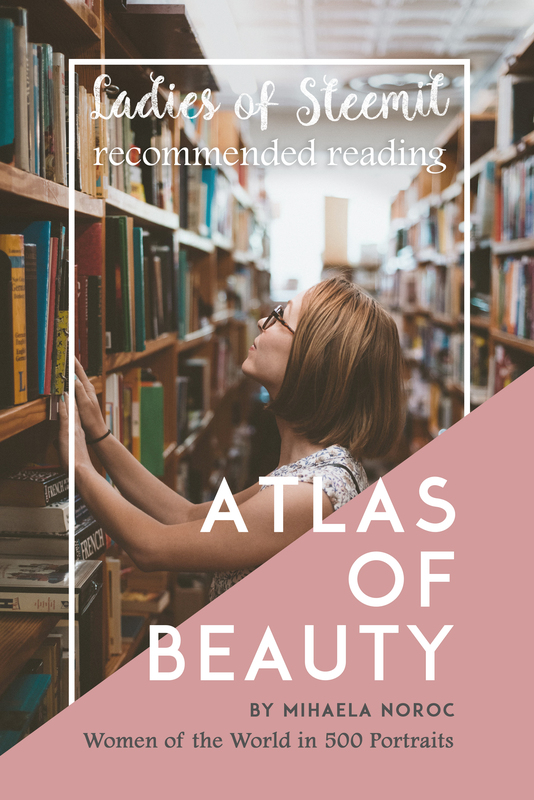 Check out our first post recommending The Atlas of Beauty by Mihaela Noroc and share your favorite female reads in the comments. 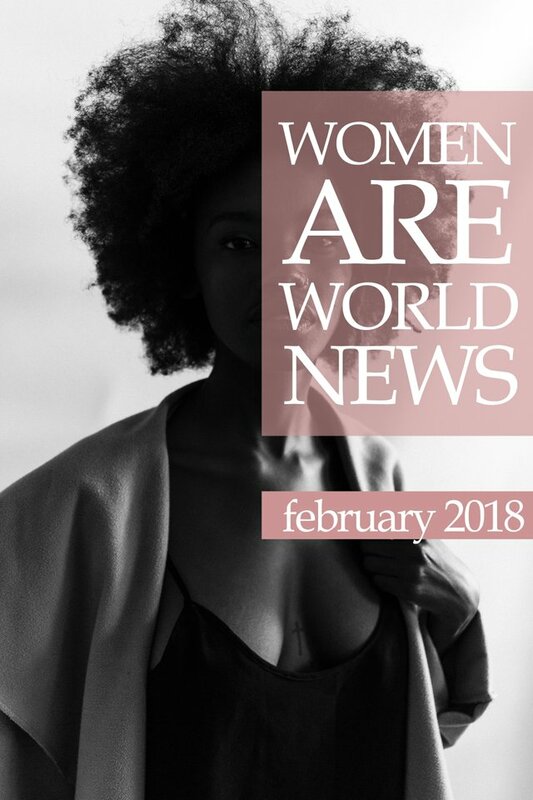 Check out the first post culminating headlines from February 2018.
use our tag #LadiesofSteemit on your female-authored or feminism-focused articles and grab a Ladies of Steemit banner, generously gifted to us by @thekittygirl! Ladies of Steemit is curated with love by @ameliabartlett. I'm really honored to be featured along with such wonderful and talented women ♥ ! I never expected such a precious surprise and gift like to be mentioned in a precious project as #LadiesOfSteemit. This is a beautiful group of women with some incredible talent! Thank you for sharing! It is so great to see these artists, and more women- being encouraged and supported on the blockchain! Thank you! These are amazing! I'm on my way to find new artists to follow. I'm really new here, so I love seeing and meeting so many new artists. I really like the initiative you take. Thanks for sharing. Thank you @maria-alejandra! We are excited to serve the female community on Steemit and are always looking to connect with more women. Be sure to tag anyone you feel we should be following! Wonderful initiative! glad to see and learn about such creative ladies on steemit. I am so honored to be featured alongside these other amazing ladies. So much incredible talent is featured on this platform and you highlight everyone with such grace! Also, I love the banner links at the bottom, so fun! 💓 Thank you for your kind words, Lily! You're so welcome. The Ladies of Steemit get stronger and badder and broader every day! This is tremendous! I cannot wait to explore all these artists in greater depth! Thanks so much for this post. I'm very excited. 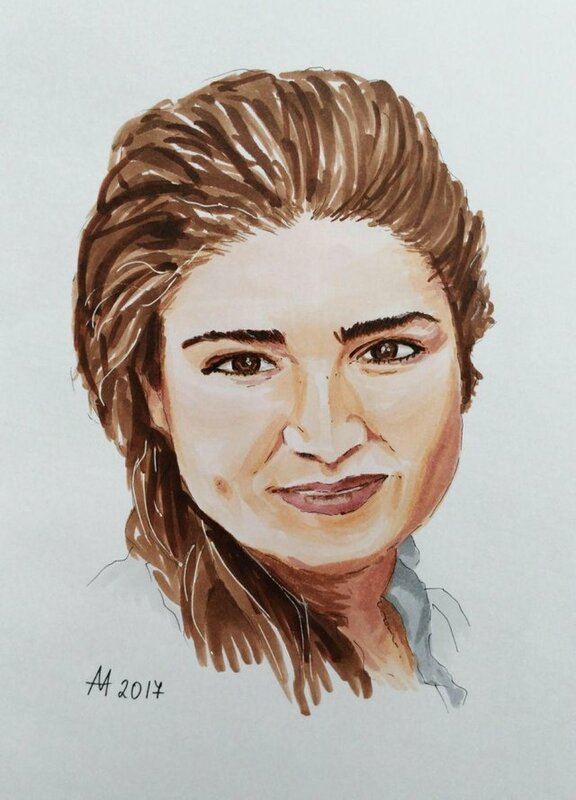 Thanks to this initiative of *LadiesOfSteemit I knew the blog of @lilyraabe and I was charmed with it, I encouraged to take part in his contest and newly I found out that habia cattle, I am charmed with the way as her colobara and supports the artists. Yes, Lily is a badass! We've come across so many cool gals through exploring various tags, surfing comments on other ladies' posts, and following each lady author we find! Thank you! We've followed you back. Be sure to tag any ladies in your network you believe we should follow! Heck yes, girl power! Thanks for joining us.